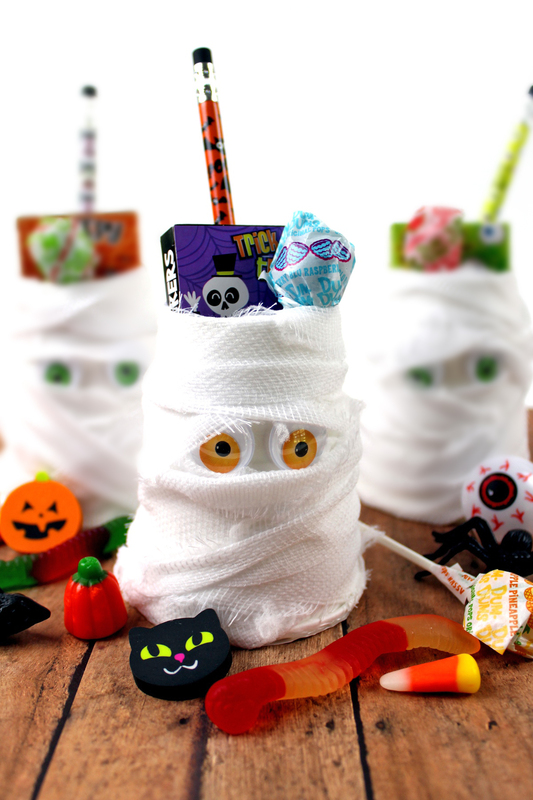 How stinkin’ cute are these DIY Mummy Halloween Treat Cups? Halloween is right around the corner, and if you are looking for some fun crafts to do with the kids this weekend keep reading! Last week I shared with you my Bloody Delicious Bones Halloween Bark recipe, and earlier this week my Spooky DIY Halloween Treat Bags craft. 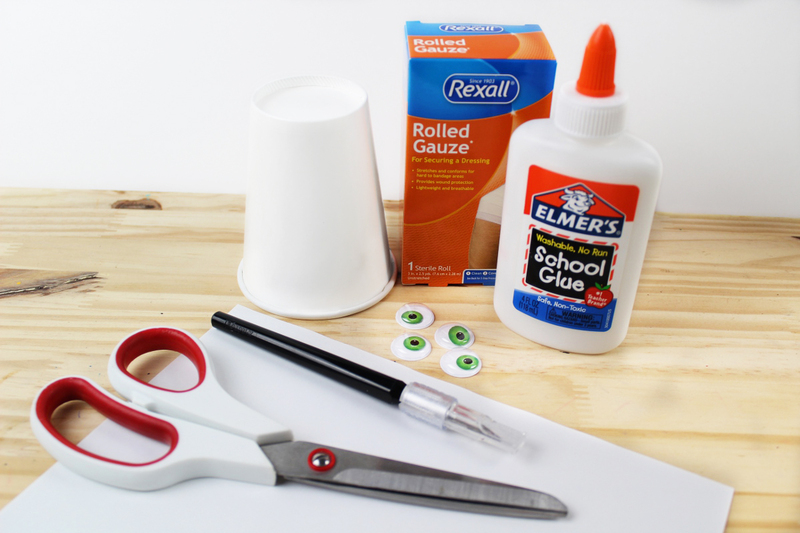 Well, I am back today sharing this super easy DIY Mummy Halloween Treat Cups craft. I also posted Frankenstein and Bat versions too. 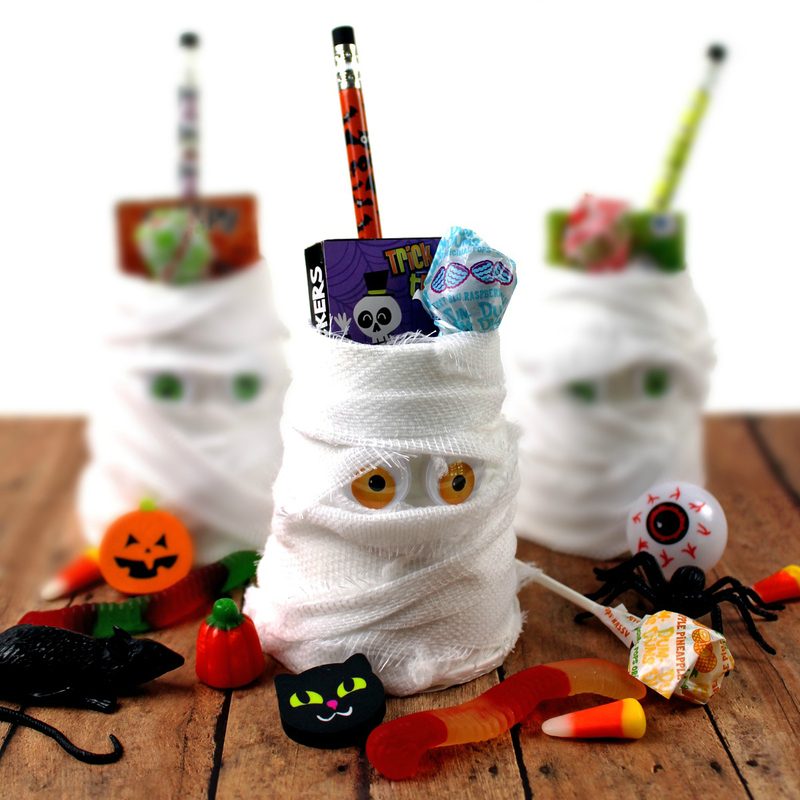 Get crafty this weekend with the kids and make some cute DIY Mummy Halloween Treat Cups. These will be perfect for portion control after trick-or-treating too. You can simply give them a few treats in their cup each day. They could also be the perfect spooky gift for school Halloween parties next week. The little ones will love getting a spooky cup filled with prizes! Follow these simple steps to make your own spooky treat cups, then print off the supply list and instructions at the end of the post! 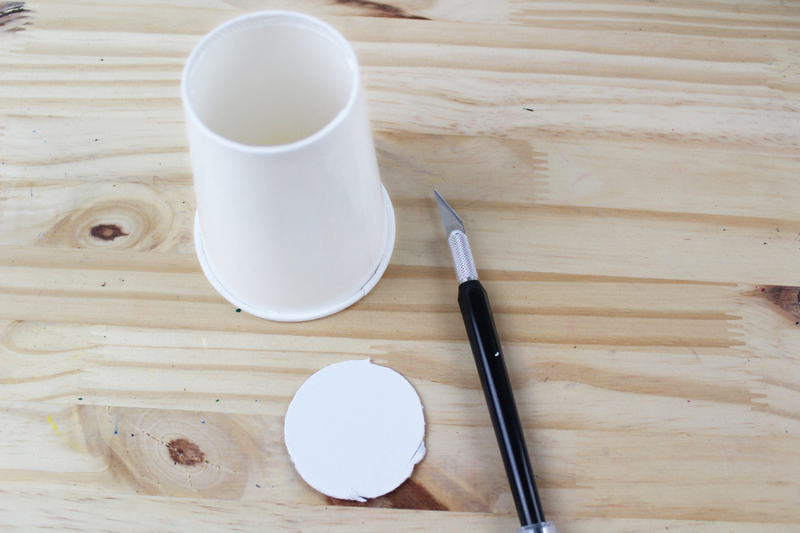 Using the xacto knife, cut out the bottom of the cup. Using the wide opening, trace one circle for each cup you are making. 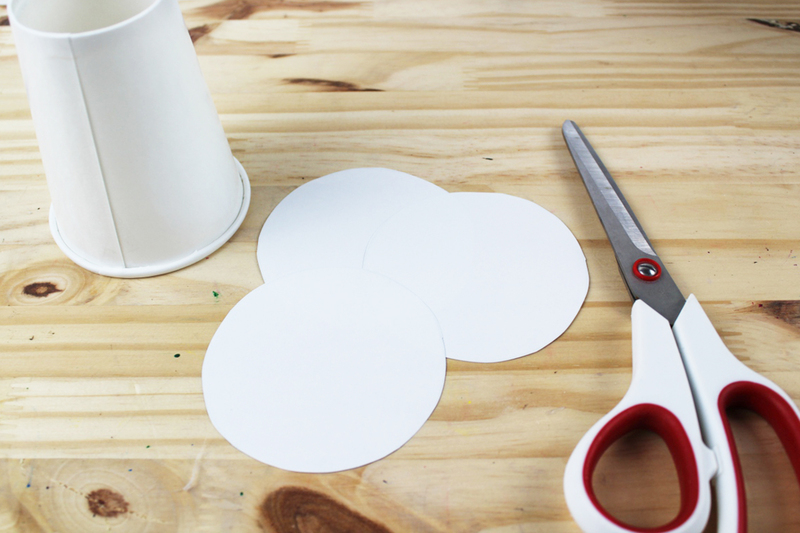 Cut out your circles, glue one on the wide opening of the cup, and let dry. Grab your gauze and cut it into strips. Glue on the mummy’s eyes and let dry. 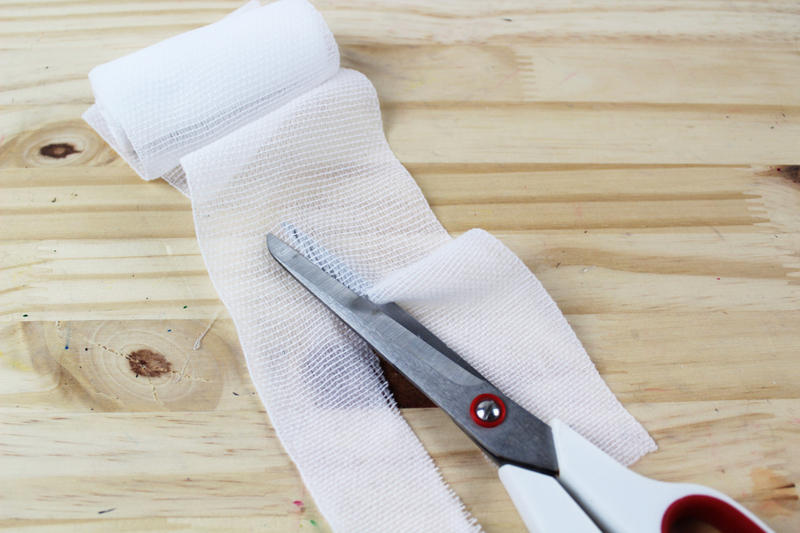 Once the eyes are dried, glue on your strips of gauze. Fill the finished Mummy Halloween Treat Cups with spooky treats & prizes! 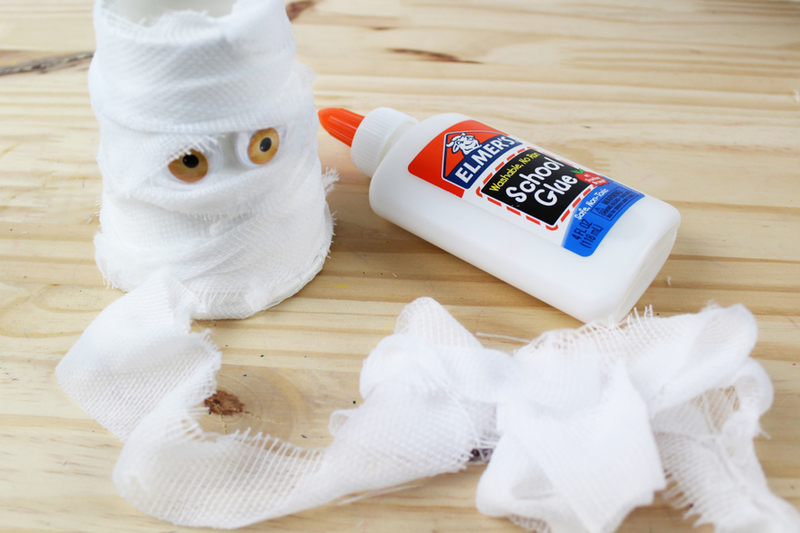 Gather your supplies listed below and enjoy making this spooky fun craft with your kids! 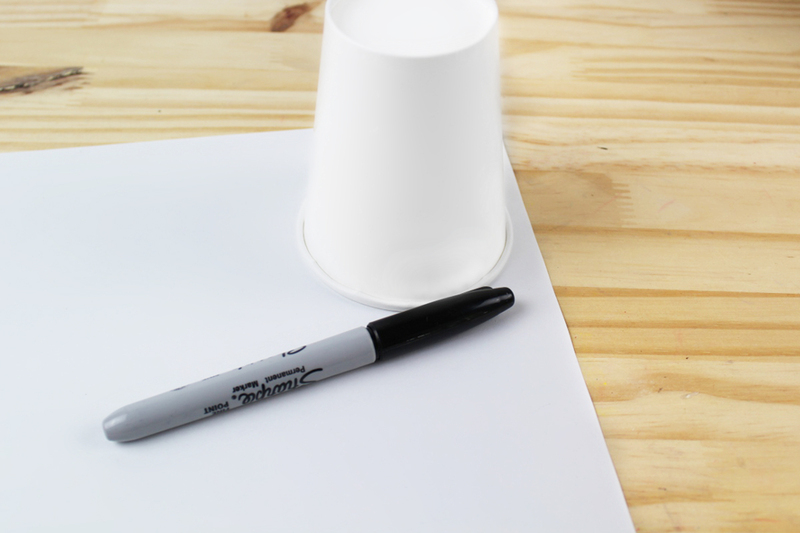 Turn the cup upside down on a piece of white cardstock and trace around the cup. 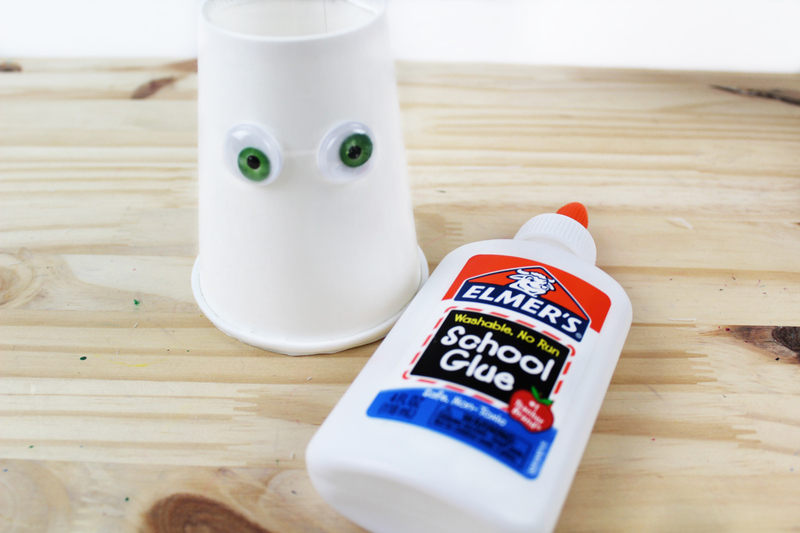 Glue googly eyes onto the paper cup. Cut rolled gauze in half. Wrap gauze around the paper cup. Overlap to get the best results. Add dabs of glue to hold the gauze in place. Add candy and small toys to the treat cups for a fun and spooky Halloween party favour! If you’re looking for another fun craft, check out these Halloween Story Stones! 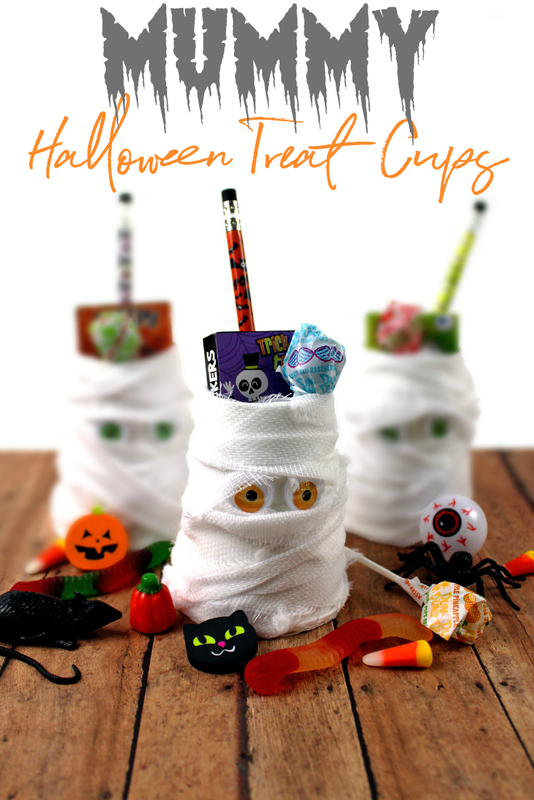 I used to love making arts and crafts of mummies when I was a kid – I think I found googly eyes peeking out in the middle of face wrapped with gauze kind of amusing… Anyway, I really love the idea of using these cups for candy portion control too! These are adorable, you have the most wonderful ideas, thanks for sharing too.